Blanche Inez Goodman, 94, of Fayetteville passed away on Sunday, February 3, 2019. She was born on August 21, 1924 to the late Oma Lucille and Homer Lawson Bailey. Prior to her marriage to John Goodman, she worked at 20th Century Fox. Mrs. Goodman was a member of Jefferson Avenue Baptist Church in East Point, Ga. She was a loving mother, grandmother and great-grandmother and will be greatly missed by all who knew and loved her. She was preceded in death by her husband, John Warren Goodman; her daughter, Patricia Lorraine Morris, and her parents. She is survived by her daughter, Linda G. Thomas (Tommy); her son, John Darin Goodman (Stacy); her grandchildren, Brian Morris (Joy), Carla Camp (Bert), Scott Morris (April), Jason Thomas (Charlotte); Eric Goodman and Emma Goodman; thirteen great-grandchildren; her brother, Homer L. Bailey, Jr.; her son-in-law, Jim Morris; and her brother-in-law, Wendell Goodman (Helen). 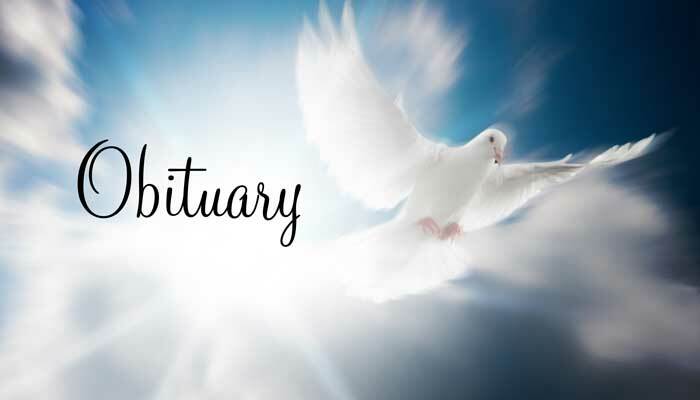 A funeral service will be held on Wednesday, February 6, 2019 at 10:30 a.m. in the Chapel of Mowell Funeral Home, Fayetteville, with Pastor Jim Morris officiating. Burial will follow at Westminster Memorial Gardens, Peachtree City. The family received friends from 5-7 p.m. on Tuesday, February 5, 2019 at Carl J. Mowell & Son Funeral Home, Fayetteville. In lieu of flowers, the family lovingly requests donations in Mrs. Goodman’s memory to the Shriners Hospital for Children, https://www.shrinershospitalsforchildren.org.